Shipping, logistics, and supply chain management (SCM) efforts play an important role in every wind energy project. For larger onshore or offshore wind farms, a significant part of the overall life-cycle costs can be attributed to shipping, logistics, and SCM related activities. 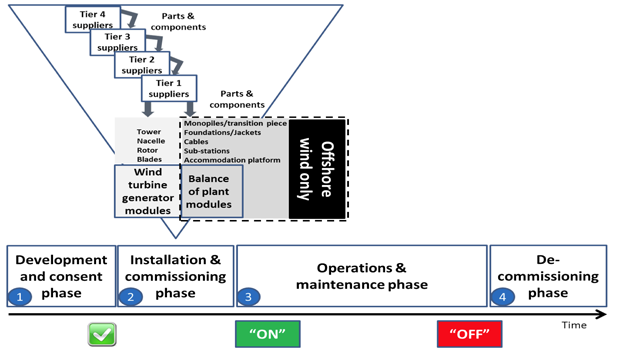 This research project concentrates on visualizing end-to-end wind farm levelized cost of energy (LCoE) from a shipping, logistics, and SCM perspective.